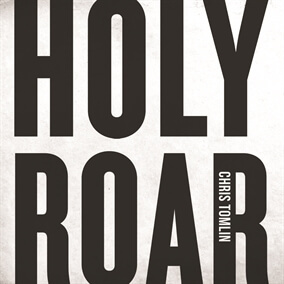 Grammy® Award-winning worship leader Chris Tomlin has released his highly-anticipated new worship album, Holy Roar, following up on his 2016 release, Never Lose Sight. Tomlin's newest offering features congregational anthems that are already being sung in churches all over, including "Resurrection Power," "Nobody Loves Me Like You," and "Is He Worthy?" “Holy Roar is the freedom, the experience, the wonder of worship," Chris shares. "It is seeing the church come together, hands lifted to God, pouring out our praise with an eternal song in our hearts. It’s every voice together, changing the way we worship." We are excited to bring you the Original Master MultiTracks for Holy Roar today along with the Charts and other worship-leading resources as you incorporate these new songs into your setlists and we encourage you to check out the entire album today on Apple Music or Spotify.